Thursday saw us traveling to Thurso, the most northerly town on mainland Britain and the home of the superb Caithness Horizons Museum. 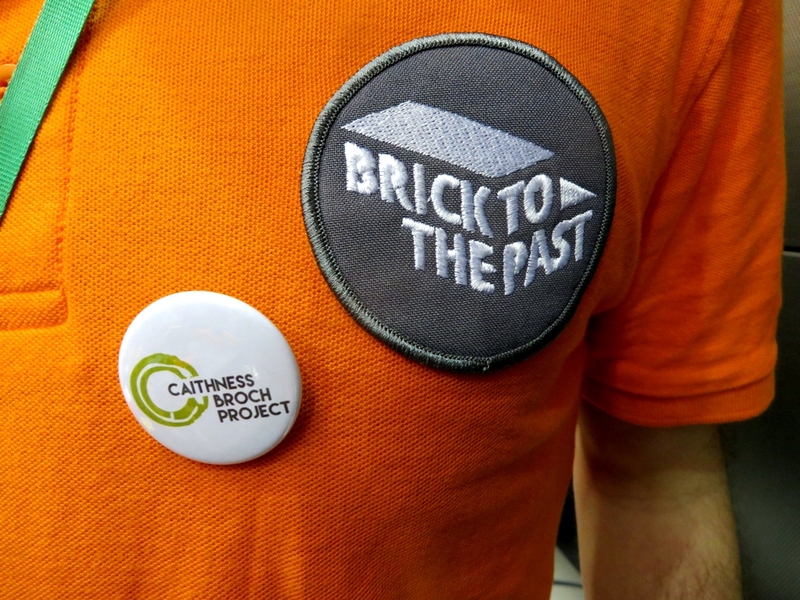 Our mission was to deliver and set up the now well publicised LEGO broch for Caithness Broch Project, a task which we of course delighted in, because a). it meant that we got yo visit a museum, and b). it meant that we got to play with LEGO. 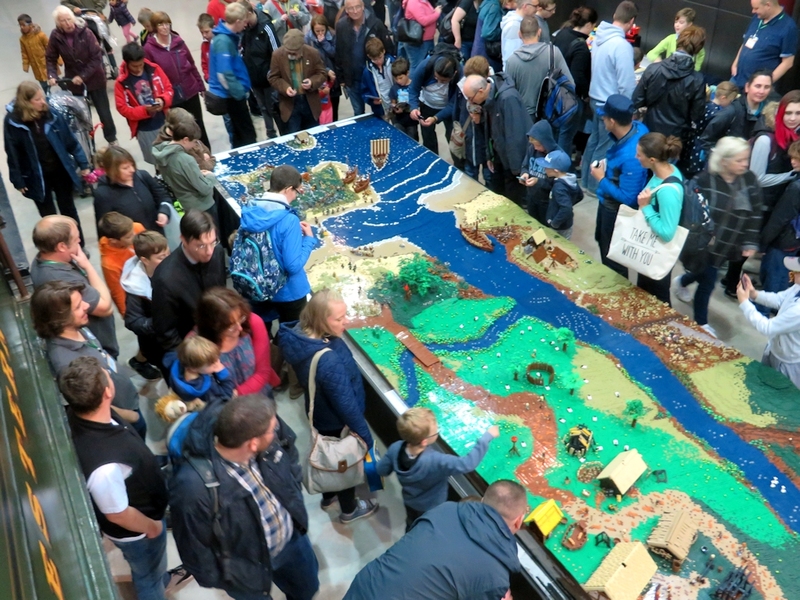 The LEGO broch will now form part of a summer exhibition on, you guessed it, brochs, before being taken on a tour of local schools as part of Caithness Broch Project's exciting outreach program. 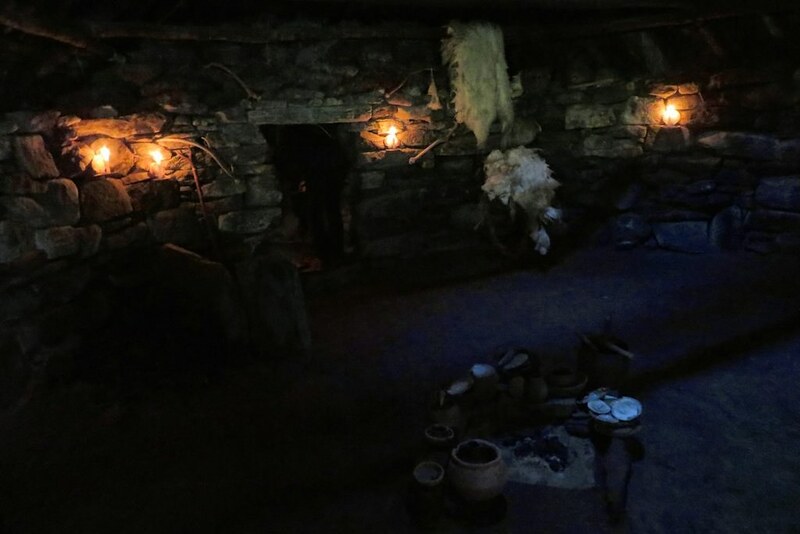 We won't give you a full look at the model just yet, there will be a proper press release issued by Caithness Broch Project that will do that. In the meantime, please enjoy our little teaser... and to see more, visit the museum! 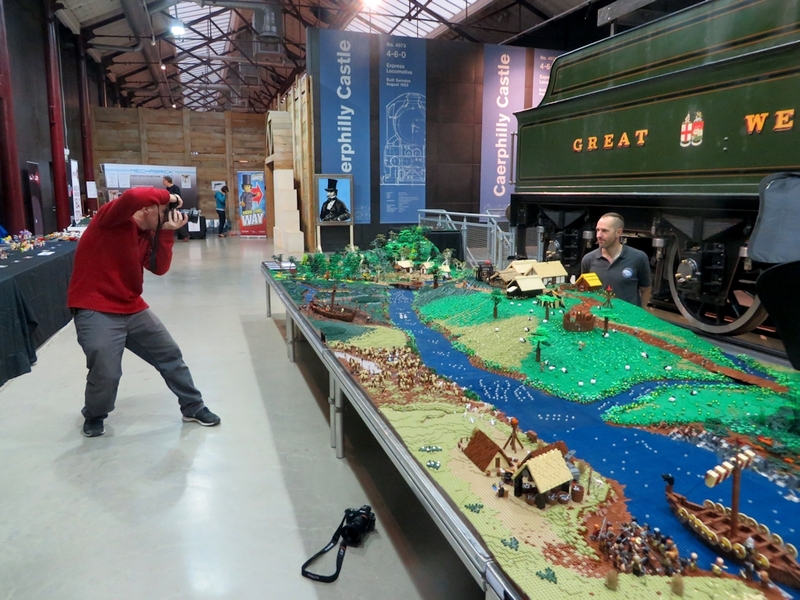 Last weekend was the Great Western Brick Show, held every year at Swindon’s Museum of the Great Western Railway, also known as STEAM. This is one of our favourite shows, being in a great venue, attracting awesome exhibitors and drawing a large and enthusiastic crowd. James Pegrum works it for the camera for our forthcoming Blocks Magazine article. This year we were once again in the Caerphilly Hall, sitting under the imposing shadow of the Caerphilly Castle, once upon a time the world’s fastest train. Lego Hastings made a return and was the first model people saw on entering the venue. Our centrepiece however was a much expanded England 793, with new additions from Simon Pickard, Tim Goddard, James Pegrum, Jimmy Clinch and Dan Harris. The model now covers an enormous 16 square metres and was built on 105 48x48 stud Lego baseplates. Every year we get asked how many pieces go into our models and every year we have no idea, but we are talking somewhere in the high 100,000s for this one. 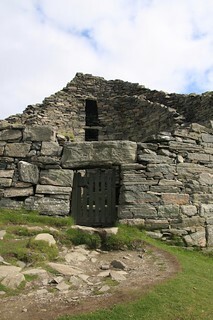 Key features of England 793 include an island monastery inspired by Lindisfarne, a ship burial representing Sutton Hoo and an Anglo-Saxon village based on West Stow. A further neat touch was a vast cavern filled with dinosaur bones, which sat under a soaring hill of over 30 bricks in height. 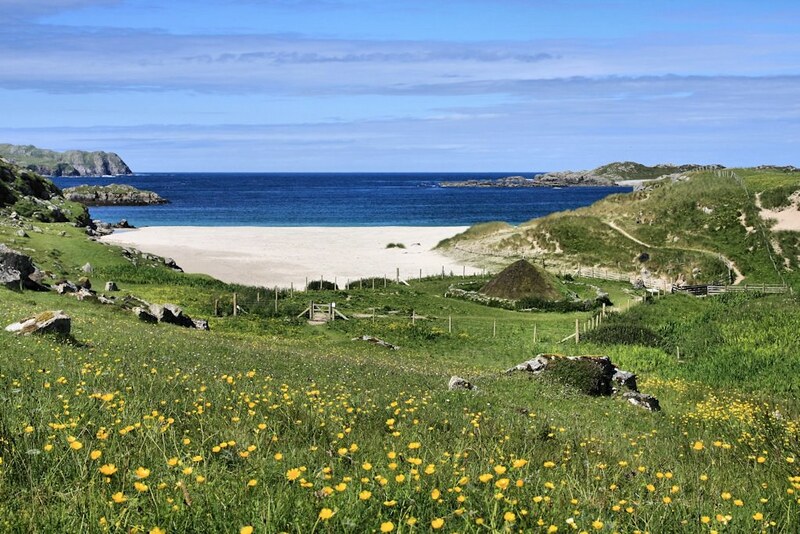 Running amok among this sweeping landscape was an army of Viking raiders who are bent on plundering the treasures of the poor Anglo-Saxons. A shot of England 793. This year’s show also coincided with Swindon 175, which celebrates 175 years since the birth of the Swindon Railway Works. 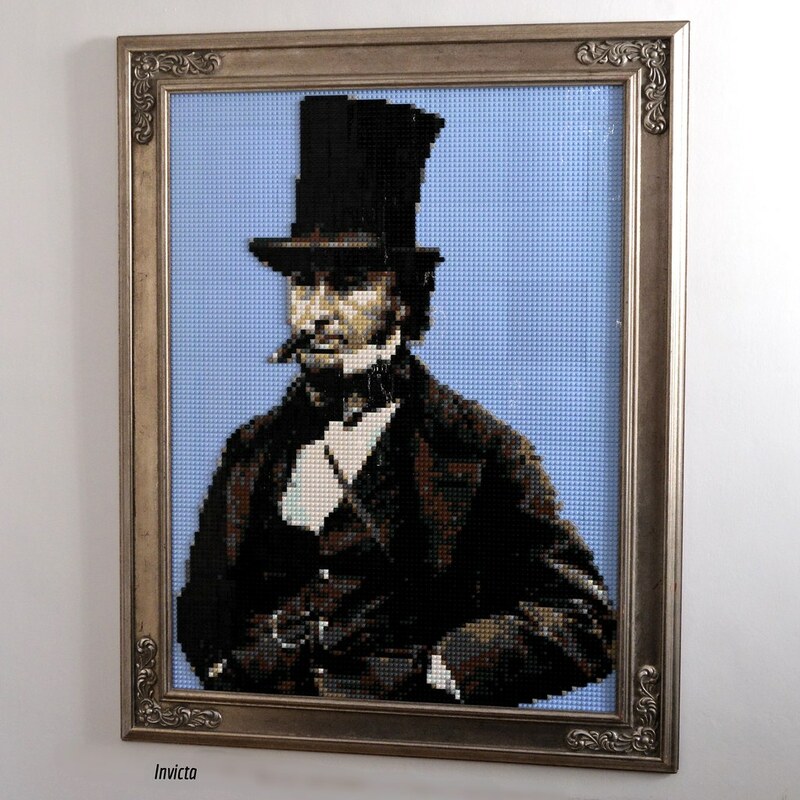 We couldn’t let this go without note, so we bought along a mosaic of the founding father himself, Isambard Kingdom Brunel. 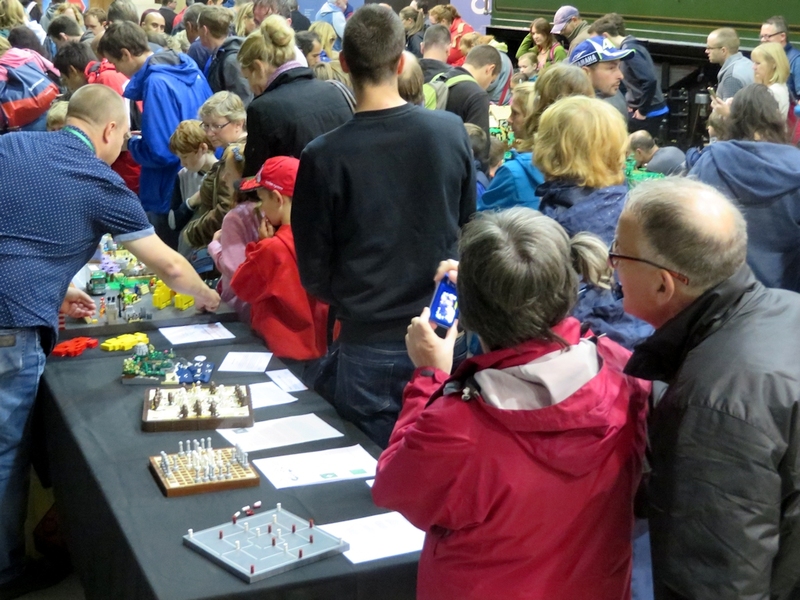 We also had a number of smaller models on display, including a Nine Man’s Morris board, a couple of versions of hnefatafl and, in contrast to England 793, our first ever micro-scale build. 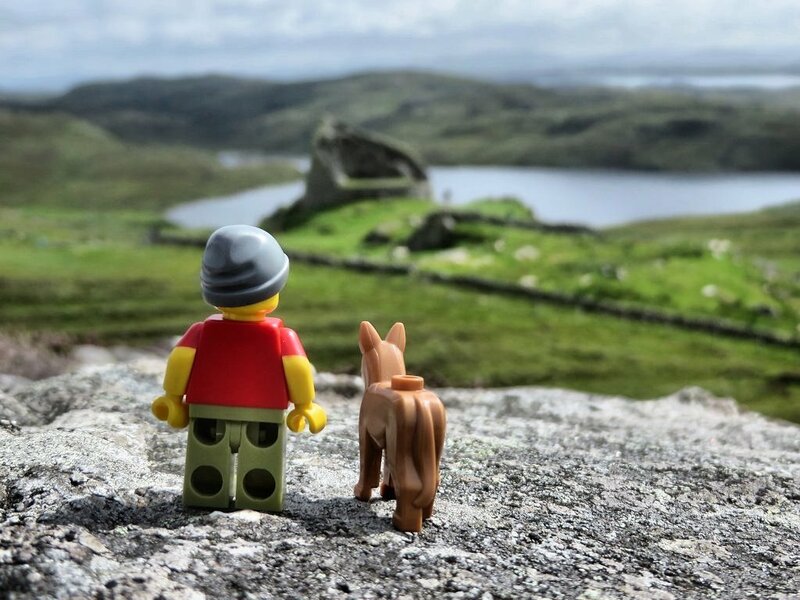 The micro-scale build is particularly special as it represents the first stage of our work for Caithness Broch Project – a miniature Lego Broch. 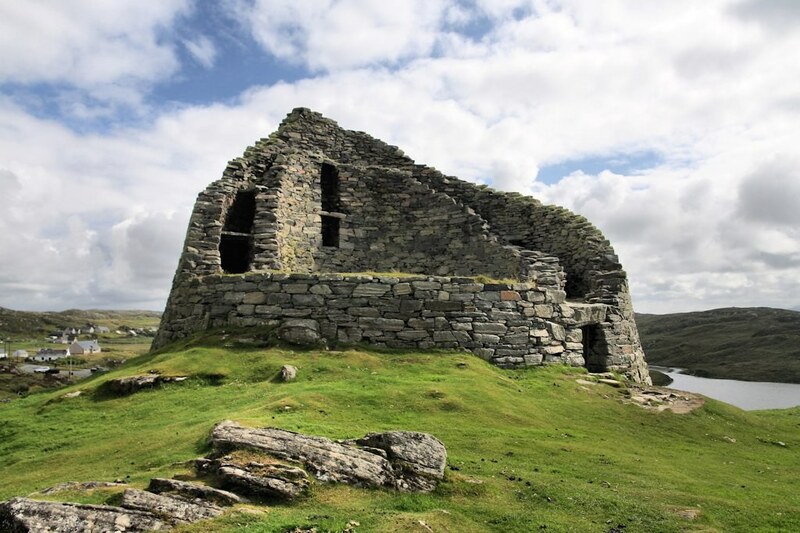 Brochs it appears are not well known in southern England so we had a great time spreading the word. Micro-brochs and ye olde board games. 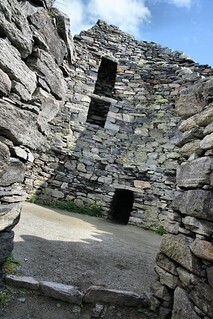 Spreading the word about brochs. 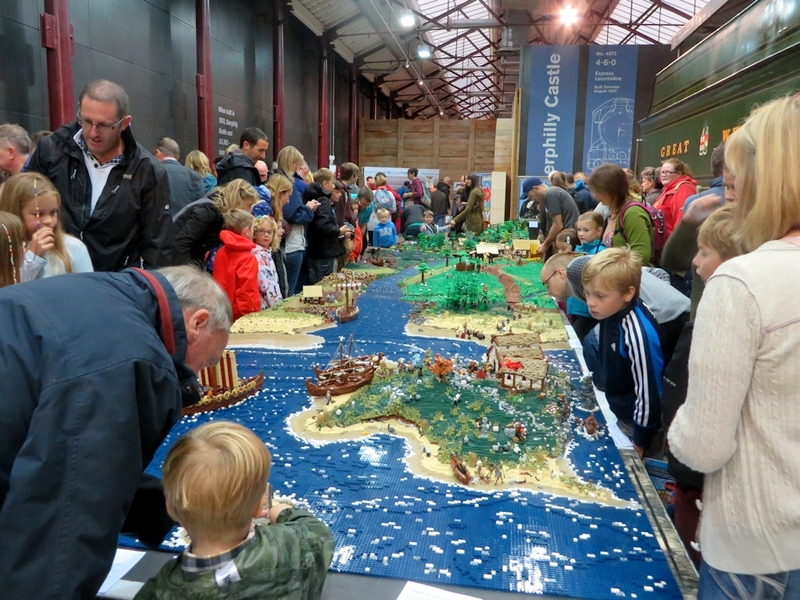 We were once again delighted by the reaction to our models and cannot wait to return next year. Official photos of our models will be uploaded to the website as soon as we finish editing them. Watch this space for updates! 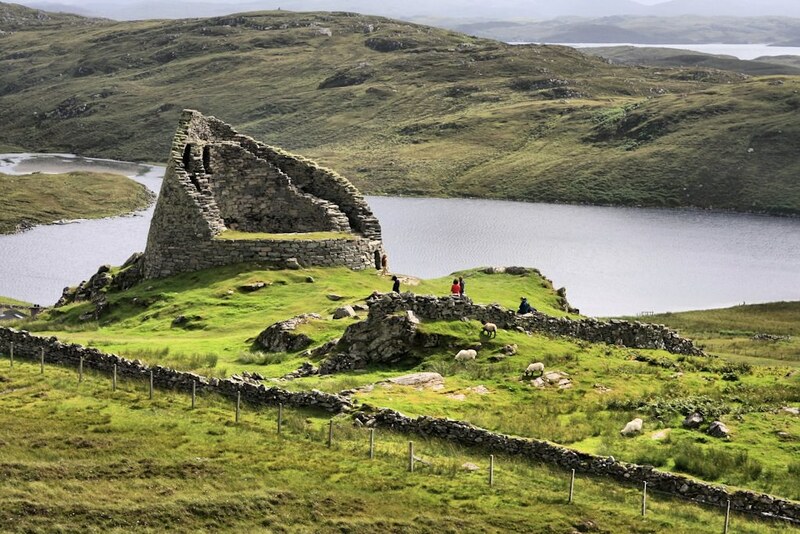 Brochs, Brochs and Yes, More Brochs! Field trip season well and truly kicked off this weekend as we ventured north to what is arguably the farthest corner of mainland Britain. 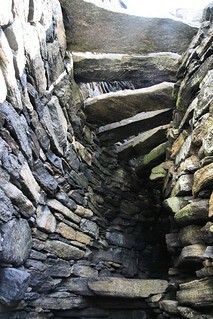 On Sunday we were lucky enough to be given a tour of some of the finest Broch sites in Caithness and Sutherland by none other than local Broch experts Ken and Iain from Caithness Broch Project. Field trips involve lots and lots of photography... and in this instance lots of rain and midges too. 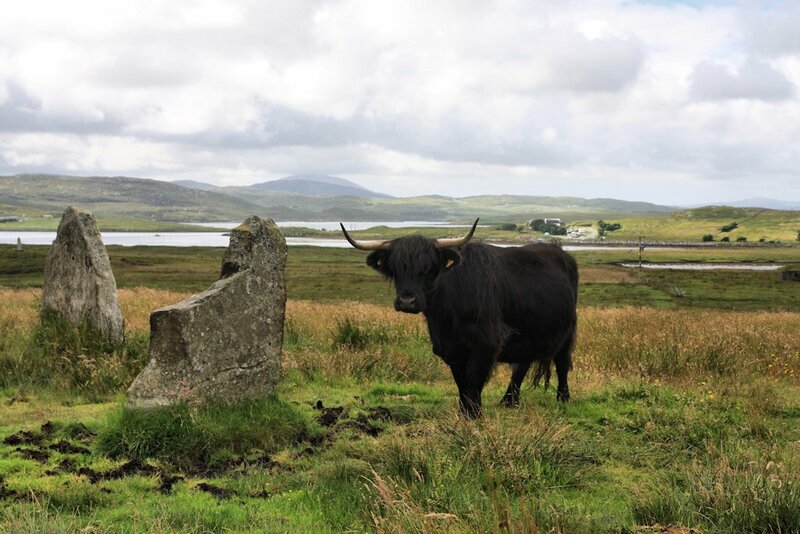 Field trips are a valuable part of what we do and despite some mildly grim weather and the occasional cloud of midges, this one was no exception. 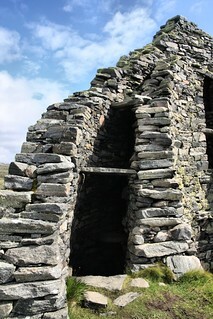 Brochs on our visit included Nybster, Dunbeath , Kintradwell / Cin Trolla and Carn Liath and they provided us with a wealth of features, some of which are delightfully grizzly, to include in our forthcoming model. 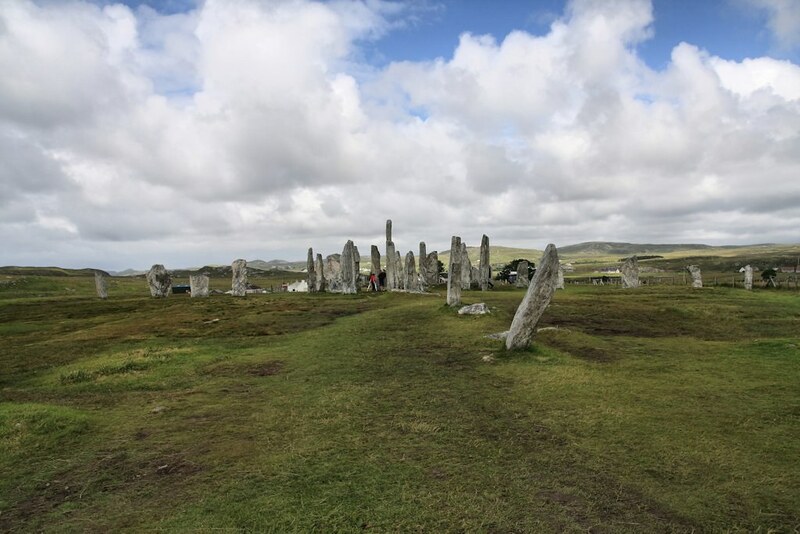 As if having two Broch experts accompany us wasn't enough, we were also lucky enough to bump into AOC Archaeology's John Barber, who has years of experience working in Scotland's historic environment. 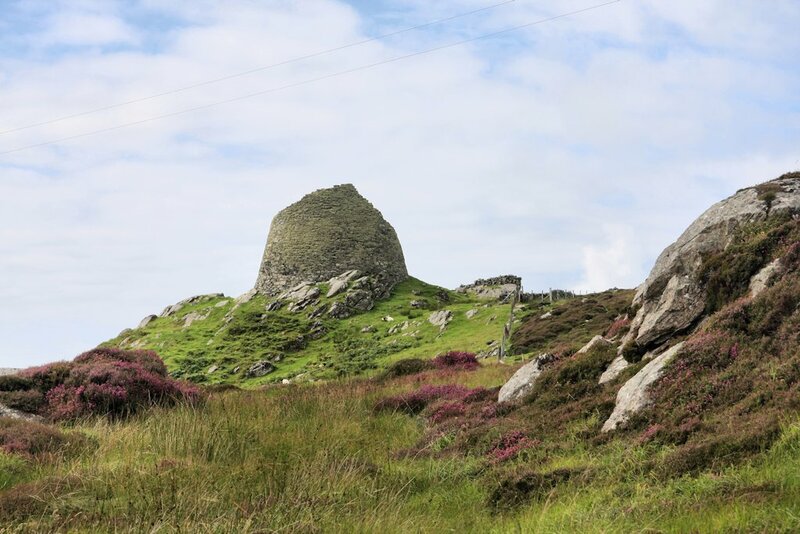 John is currently undertaking research into the engineering, architecture and conservation of brochs with the University of Edinburgh, so the opportunity to quiz him did not go unmissed. This may well have been our most productive field trip ever and so now, with our heads full of new found information, it's time to get building... or maybe go on another field trip, because you can't have too much of a good thing.